Duties include the conducting of Society affairs when authorized to do so by the Board and the appointment of Members in good standing to fill vacancies in the Board of Censors, in the offices of the Society, and in any committees or sub-committees. The Executive Committee shall serve as the Budget and Finance Committee. Committee is composed of Society officers. Member serves three year terms. Each year, two new members are appointed. 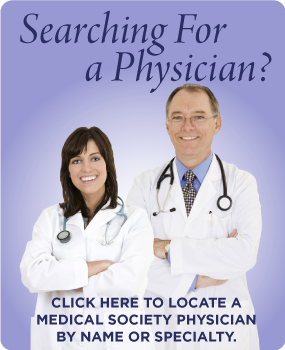 The Committee is not limited to but empowered by its membership to safeguard 1) the integrity of medical practice, 2) the public’s interest in an unencumbered doctor-patient relationship, 3) interaction between doctor and patient that promotes and sustains dignity, respect and care, 4) physician-physician relations that are professional and uncompromised by economic issues, 5) physician-institution relations that maintain the primacy of the doctor-patient relationship, and 6) physician commitment to patient access and adequate care regardless of setting and irrespective of financial issues. The Committee shall investigate immediately any report of illegal or unethical practice of medicine by any Doctor of Medicine, Doctor of Osteopathy, medical institution, or layman which would be dangerous or harmful to the public. The Committee shall investigate promptly any alleged offense that would be grounds for the discipline of a member and shall work to resolve misunderstandings between patients and physicians. The Committee may ask approval of the Board of Censors for employment of legal counsel or investigative personnel, and necessary funds to pursue its investigations, said funds to come from general revenues of the Society. Duties include receiving applications for membership in the Society and determining the qualifications of each applicant and then reporting recommendations to the Board of Censors. The Committee shall be responsible for the orientation of the new members. Duties include preparation of a budget for the fiscal year beginning January 1 of each year. The budget shall be submitted to the Board for consideration no later than the preceding October 31. The Executive Committee shall act as Budget and Finance. Created in 1999 in response to community need to identify medical problems related to environmental hazards in Mobile County. 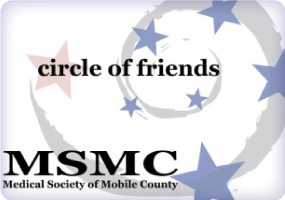 Duties include developing liaisons with the legislators representing Mobile County at both the State and National levels, and with the Legislative Department of MASA. Duties include meeting and, by majority vote of the Committee, selecting a slate of nominees consisting of one for each elective office and each elective position to be filled at the annual meeting. Each nominee so selected shall be eligible and qualified as provided by the Bylaws and shall have given the Committee approval to being placed in nomination. This slate of nominees shall be presented at the meeting during which nominations are to be made. Duties include planning and implementing programs designed to foster close relationships among Members of the Society, between the Society and allied groups, community agencies and organizations, and public information and opinion media such as newspapers, television, and radio stations, churches, schools, and others. Duties include planning and/or making available continuing education programs for the Members in conjunction with MASA and shall make available to the Members information regarding the existence and availability of other suitable continuing medical education programs.